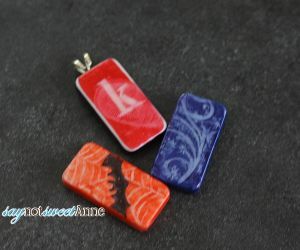 I make a lot of my necklaces like the 3D Paper variety, or the Peace Tea Can kind. I’ve been making these domino necklaces for years, but only recently took the time to photograph the process. They are super easy to customize, and would make great Easter Basket gifts. So, what are you waiting for!? White Acrylic Dominos. I found little ones at the Dollar Tree, but I’ve also used the big ones from regular stores in the toy/games section. e-6000 glue, or another strong, trusted glue. 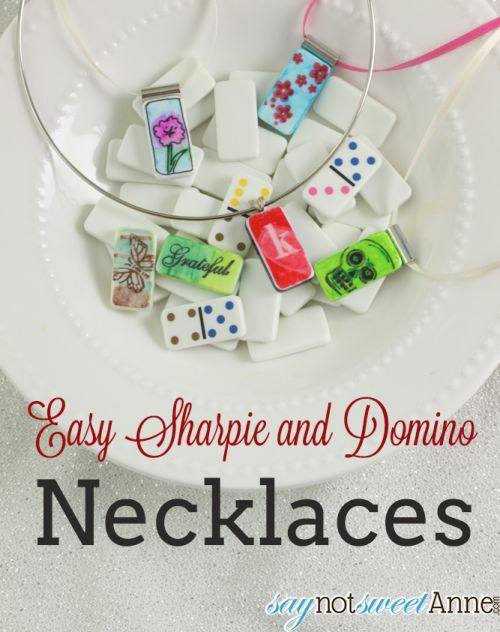 Start by coloring some parts of your domino in Sharpie. You are essentially laying down the ink that you will dilute/manipulate in the next step. Use the Q-tip or toothpick and gob on some of the rubbing alcohol. The ink will begin to lift and move, sort of like watercolor painting. Experiment with layers of ink and alcohol until you get a desired effect. Sprinkling some grains of salt in the pool of alcohol adds a dotted effect. Once your background is set, you can leave the domino as is or add another design layer. 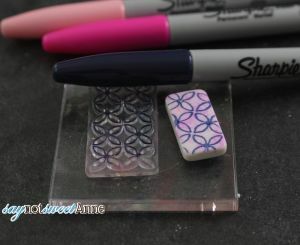 Try freehand drawing, or color a stamp with the Sharpie and then (work quickly!) stamp onto the domino. 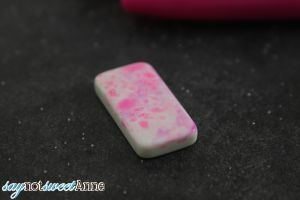 You can even “stamp” with the rubbing alcohol to create a reversed effect. 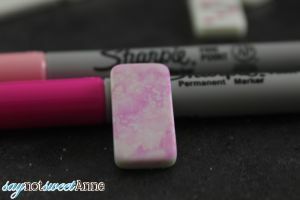 Once you like your design, set the domino on a flat surface and put a thick coat of Mod Podge Dimensional Magic on top. This will protect the ink, and give it a bit of a glossy depth. 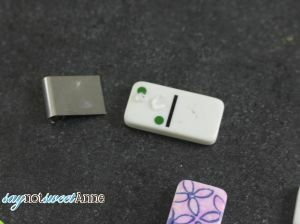 Once the mod podge is totally dry, use your glue to glue the domino to the bail. Done! I use these awesome metal slide necklace hoops, so I can change out the charm whenever I want! This is such a fantastic creative idea! 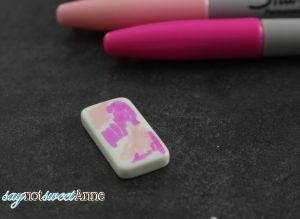 I never would have thought that dominos could make such cute charms! Hi there Kayla, the use of dominos seems to have been your well kept secret LOL. I really love the necklace and thanks a lot for sharing your well guarded secret and keep up the good work. I will try it out one of these days.